BrewTopia will feature great live music, food and of course beer! Vendors from all over Texas and beyond will help transform the outdoor Oleander Bowl into a genuine old-country beer garden. Canned good and spare change donations encouraged to benefit the Galveston Food Bank. Featuring over 300 international, domestic and local Texas brews, the Brew Ha-Ha Grand Tasting is your chance to sample some of the best beer in the world. Featuring live demonstrations from more than 15 renowned chefs, BrewLicious in the Ballroom will showcase unique food and beer pairings - and you’ll get to sample each one! Wow, they've definitely got a lot events planned that weekend. There's also a homebrew competition, concert and golf tournament. However, Galveston isn't the most convenient location for it. Its close enough to home that a hotel room doesn't seem worth it but the alternative is a couple of hours worth of driving back and forth. The Moody Gardens Hotel is apparently offering a Brewers Package that includes hotel nights and tickets for the events which may be a good deal if you're planning on going. 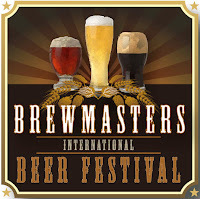 As a homebrewer of some 20 years, I was delighted at the prospect of the festival. My wife and I purchased VIP passes and went early to make a day of it. I have to say, I was disappointed and heard a lot of the same criticisms from others. First, the Hotel did a little price gouging at the beer garden. Five bucks for a relatively pedestrian selection of 12 oz bottled beer? $10 for a hamburger? $8 for an average bratworst? $7 for a ballpark frank? I mean come on! The VIP admission was kind of nice, in so far as it allowed us to get samples for 30 minutes before the army of Proletariat beer drinks decended on the place like locusts. Lines went from a few minutes to up to 15 minutes to get a 2 oz sample. The food in the VIP lounge area was pretty horrible. Having owned a catering business, I recognized most of the food as being available from Sam's Club or Sysco food service. Cream cheese stuffed jalepenos okay, but cream cheese stuffed artichoke hearts too? Chicken wings and horrible pre-frozen beef patty sliders? Pretty awful stuff. Even the desserts appeared to be right off the back of a Sysco truck. The VIP beer offering was nice, but the miserly hotel workers pouring the stuff held the cups up to the light to make sure they poured EXACTLY 2 oz. It wasn't until late in the event that we learned a "3 puncher" would have gotten us a full 6 oz sample saving much time and aggrivation. The pourers were flacks. Only a few of them knew anything about the beer they were serving, so trying to get any information out of them was like talking to your convinience store worker about nuclear physics. It kind of takes the fun out of it for someone who might have a mind to try to clone brew a new beer he tasted there. I gave up, and just worked on getting my buzz on, like, apparently, most of the attendees. All in all we had a good time, but for $120 I could have tried a lot of new beers at the retail store or at my favorite pub. I won't be going back in the future. Fool me once shame on you, fool me twice shame on me. Keith, thanks for the indepth review. I ended up not being able to make it down to the festival, but I did give my tickets away to someone who was able to use them. I read a few reviews about it and talked to a couple of people and it sounds like the festival was definitely geared more towards those who are new to craft beer. Anyone who has been to other large beer festivals and already familiar with craft beer was probalby going to find it too elementary. Also, not being able to offer any beer that isn't already licensed for sale in the state was definitely going to leave most beer geeks disappointed in the selection. However, I'm still all for anything that helps introduce craft beer to the public at large. This was also just the first year for it and a learning experience for all involved.